with over 100 people attending from all over N.S.W. Many stories were shared – helping to fill in some of the gaps in Jayne’s life. 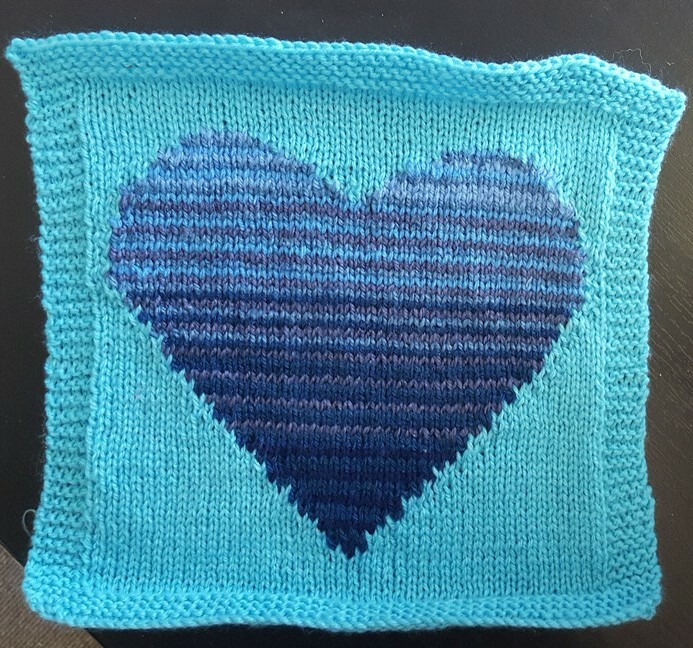 We have designed a heart square to knit in honour of Jayne and her generous work for Wrap With Love.Instructions will be posted on our Patterns Page shortly. Feel free to include one in your wraps.